We are associated with around 25 contract manufacturing units in India, they are accredited with WHO-GMP, EU-GMP, NAFDAC certifications & some are also accredict HALAL, ISO 2016-2020 certificates. Vetoquinol India has distribution-in agreement with two Europe companies. Our range of formulation covers; Oral Solid , Oral Liquids, Injectable like (Dry Powders & Ready to Use, β-lactum- Dry Powder , Intravenous Infusion , Intramammary Infusion) External Preparation and a wide range of feed supplements. Vetoquinol India has more than 70 brands and more than 200 SKUs for domestic & export markets. We export our products to more than 24 countries through our authorized distributors. 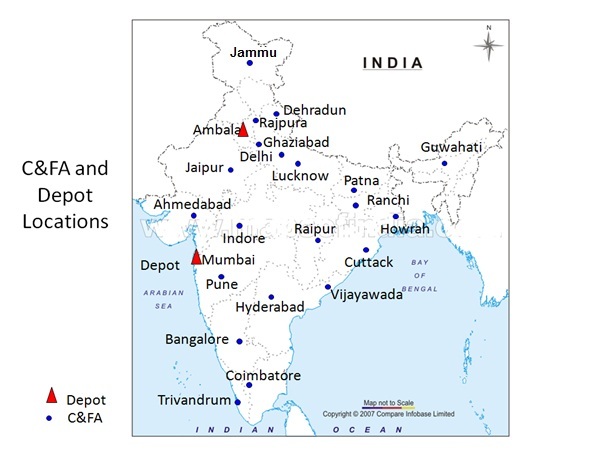 We distribute our products in Indian market through 2 depots, 23 C&FA‘s and over 1,500 stockiest. Vetoquinol India Animal Health Pvt.Ltd.